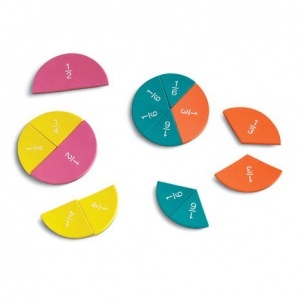 These soft foam magnetic circles provide a hands-on visual and tactile way to explain fractions. 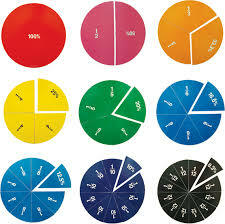 Set reinforces fraction values of one whole, 1/2, 1/3, 1/4, 1/5, 1/6, 1/8, 1/10 and 1/12. Set of 51, complete in storage box. Circles measure 9cm in diameter.